With Linkedin’s IPO scheduled, they are apparently in the dual mode of increasing profits and delivering new product innovations. Their product development appears to have kicked into overdrive – recently, there have been new tools and services announced regularly. Two relatively new services useful to recruiters are the new “Year in Review” tool and the new profile stats tool. Recruiters should pay special attention to “following” their clients when they move to new positions. Essentially, a recruiter only has to have a few good clients to make their career – so it’s very important not to lose them if they go to a new company or take on a new role. The new Linkedin year in review tool provides a visual tool for exploring your connections’ new jobs and ventures. If you regularly connect with candidates and clients on Linkedin, this is a great tool for making sure that you are keeping in touch with everyone important to your business. 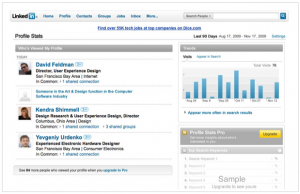 You might have received the 2010 Year in Review about your Linkedin connections, but with the new tool, you can check out 2011 and make sure you are keeping in touch with all of your professional connections. 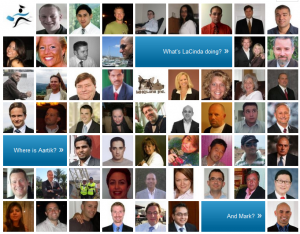 Another feature of Linkedin which has been recently tweaked is the profile stats tool. To receive the full benefits of the tool, you have to be a paying subscriber; however, even the free tool offers some interested stats. As a recruiter, you should probably focus on finding candidates and clients rather than on how they find you, but it’s still something to keep in mind. Using the Linkedin profile stats tool you can see how often you are appearing in search and what keywords people use to find you. With Linkedin’s IPO, we can probably expect their products to cost more and perhaps be more restrictive and regulated. However, we can also hope that the IPO continues focusing the company on delivering innovative services pertinent to their core revenue base, which is recruitment service providers and the corporate recruiting function.